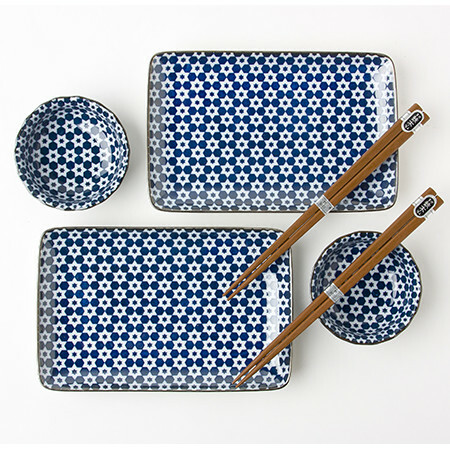 Blue and white star pattern sushi set for two made in Japan available at Miya. 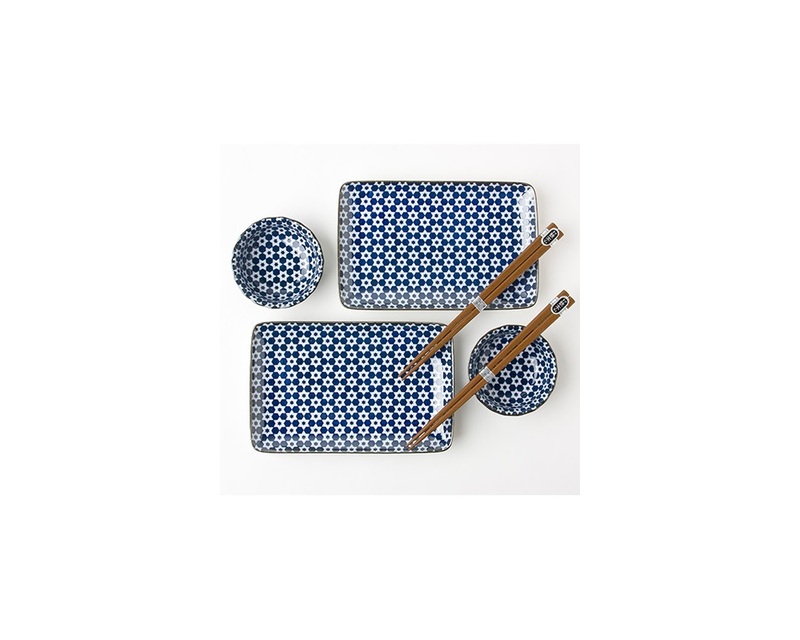 Presented in a black gift box for easy gift-giving, this popular Sushi For Two set is perfect for anyone who appreciates great food. 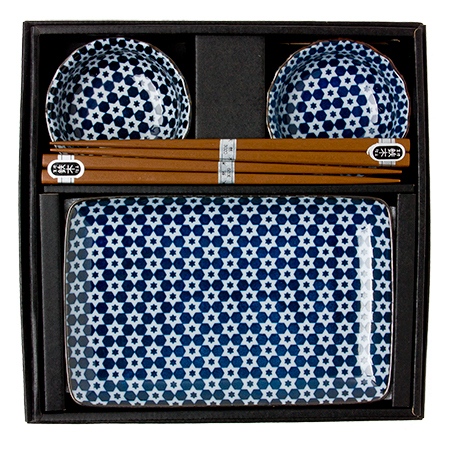 Blue and white star pattern set includes two rectangular plates, two sauce dishes and two pairs of chopsticks packaged in a black gift box. Use the sauce dishes for votive candles and one of the plates as a tray to place them. 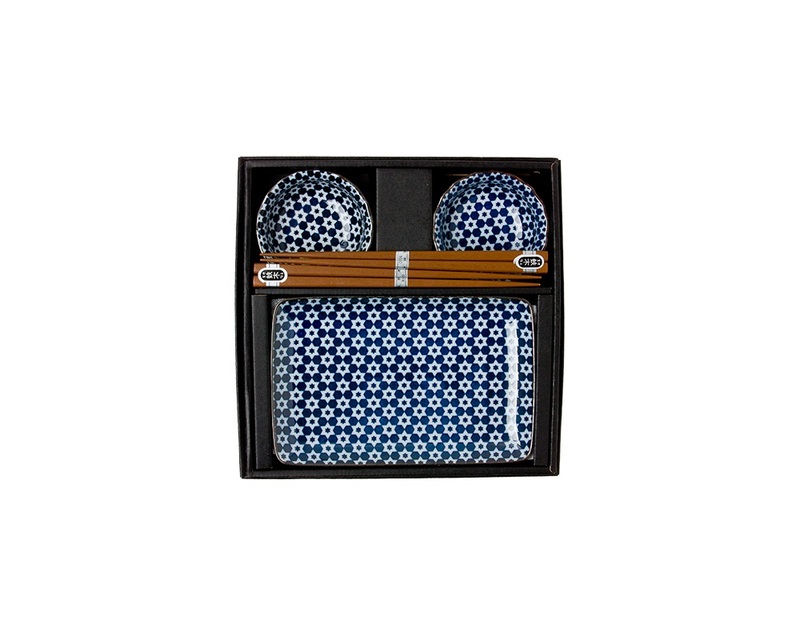 Blue and white is the new neutral!